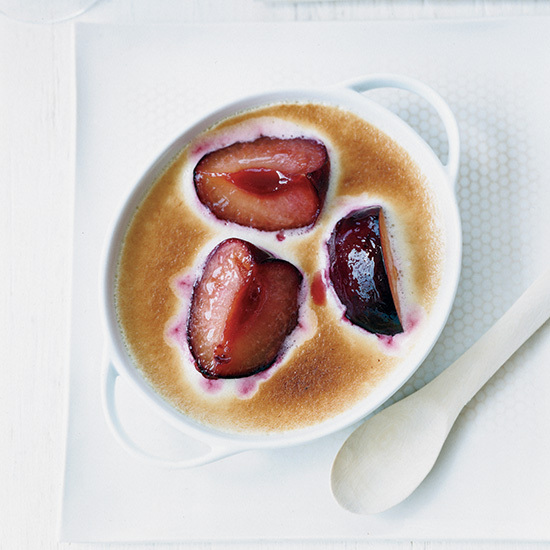 These elegant recipes include plum puff dumplings and honey-sweetened mascarpone with berries and pistachios. 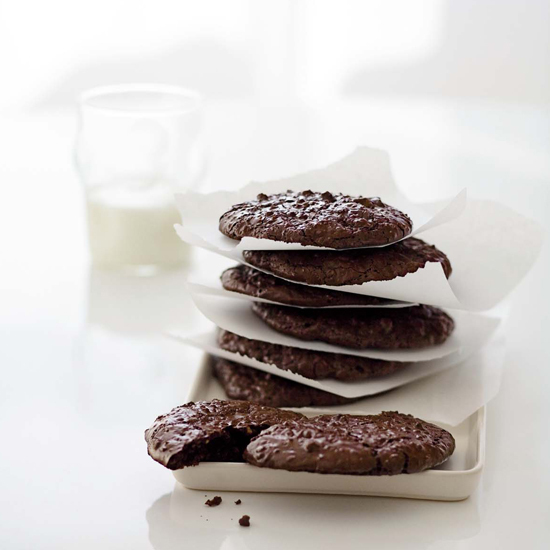 François Payard's divinely gooey chocolate cookies are flourless. 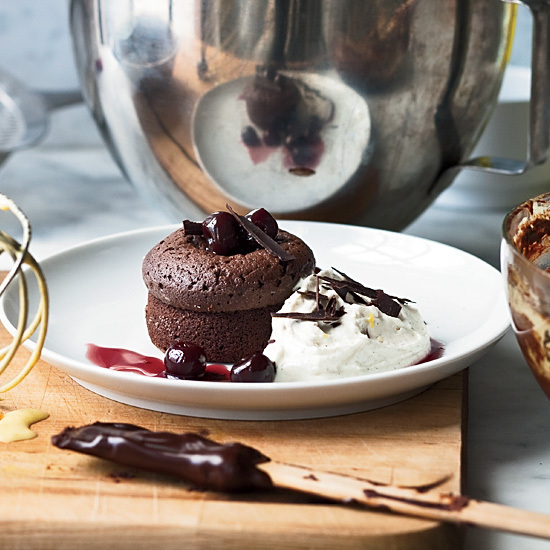 As if the chocolate-hazelnut spread gianduja isn't delicious enough straight off the spoon, F&W's Grace Parisi folds in whipped cream and crème fraîche to create a truly decadent (and ridiculously easy) mousse. 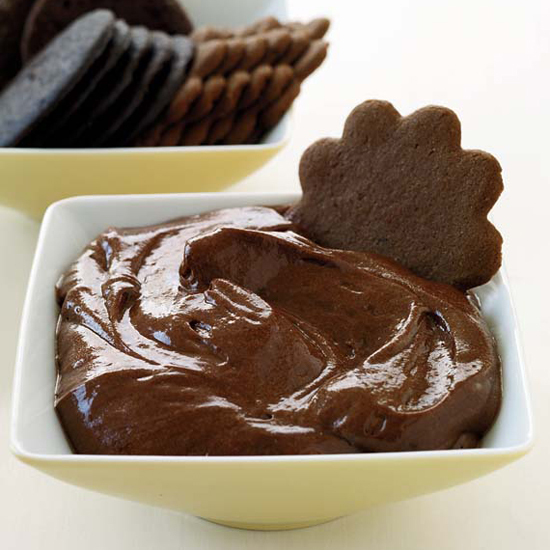 For a supereasy ice cream sandwich, spoon the mousse between chocolate wafers and freeze overnight. 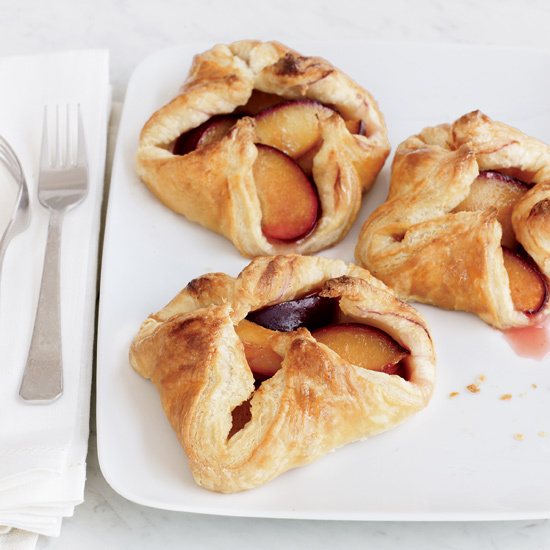 For her elegant interpretation of fruit danish, Grace Parisi tosses wedges of big purple plums with sugar and cardamom, then pinches them into neat little puff pastry pockets and bakes them. 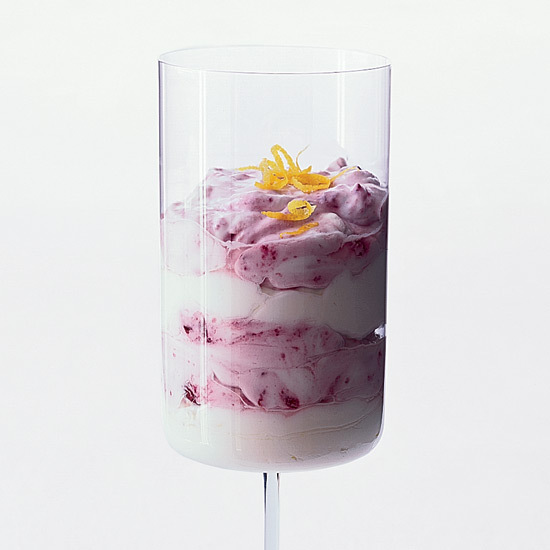 Dahlia Narvaez adored the deliciously rich mascarpone cheese she ate in Umbria. "It's such a great backdrop for all the different honeys made in Italy," she says. 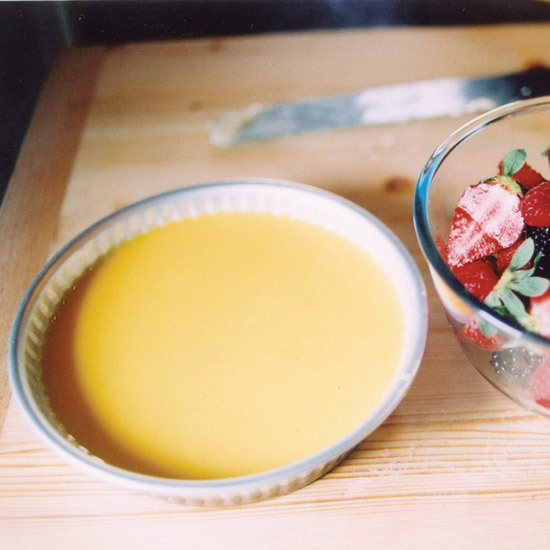 She made this dish with delicate Umbrian wildflower honey but says stronger honeys like chestnut would also be terrific. 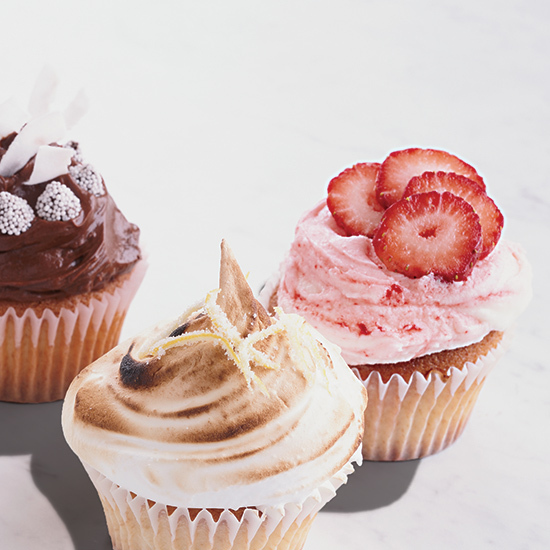 F&W's Grace Parisi invites you to play with two sensational batters, three fabulous frostings and loads of toppings to create your own irresistible mix-and-match cupcake variations. 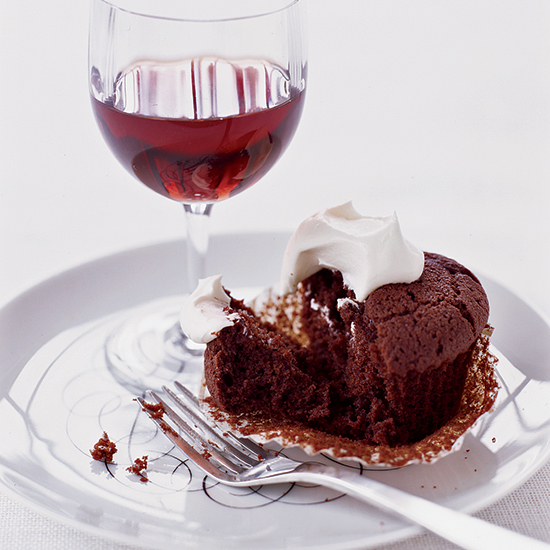 In his riff on Black Forest cake, a favorite dessert of his father's, Hosea Rosenberg tops individual cakes with mascarpone cream instead of whipped cream and luscious brandied cherries instead of jarred. "If you grew up in America, that summertime peach...it's straight out of Norman Rockwell," says Thomas Keller. 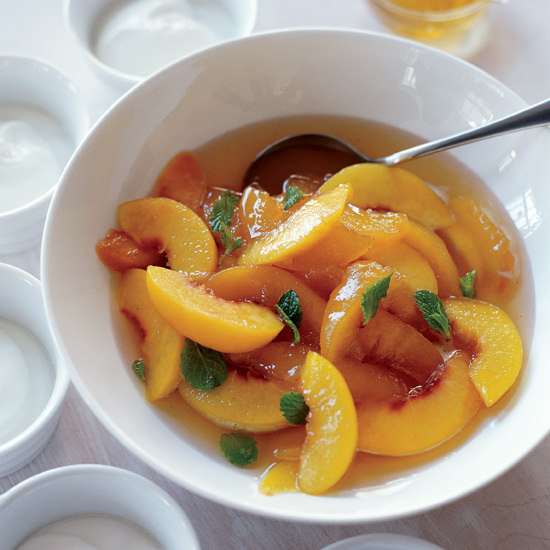 There's no showy technique behind this incredibly easy, luscious dessert—you just need great ripe, slightly firm peaches to soak in a simple fruit-infused syrup. Keller tops the fruit with a dollop of Petit Suisse, a French fresh cheese sold in small tubs at some specialty food stores, and a sprinkling of whole toasted almonds. He prefers marcona, the delectable Spanish nuts. Meg Ray and Caitlin Alissa Williams usually bake this wonderfully rich cocoa crème fraîche batter in a loaf pan, but it bakes even faster in cupcake tins. If the amount of batter fills more than one standard 12-cup muffin pan, just bake the rest in sturdy foil baking cups set on a baking sheet.